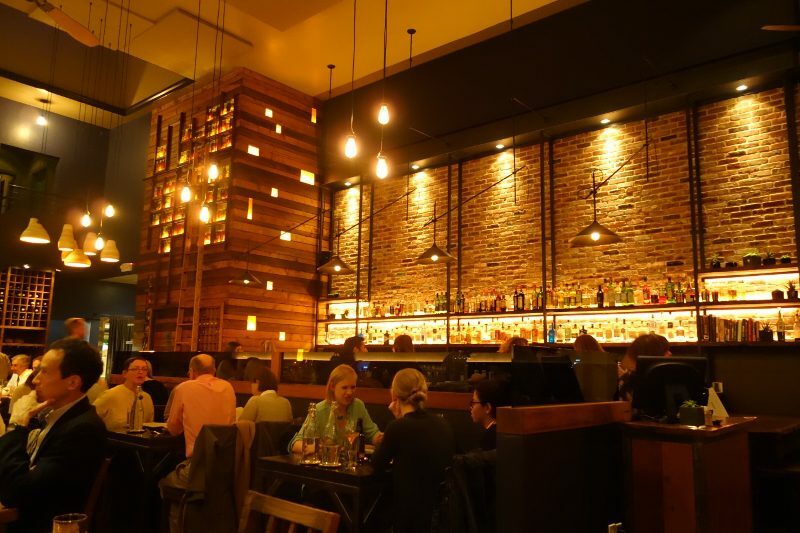 When my friend mentioned that we were going to Verbena for dinner during our food tour of San Francisco, I hadn’t heard of the new restaurant by Chef Sean Baker, but I had heard of his other restaurant, Gather, in Oakland. 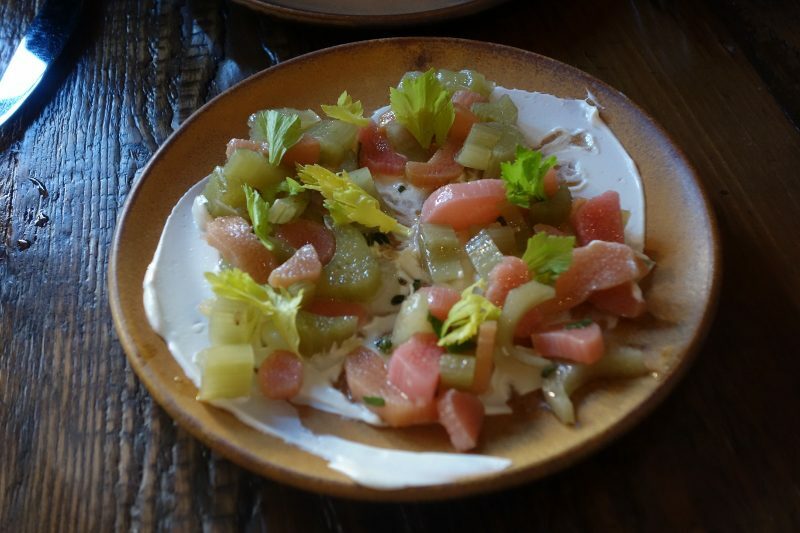 Considering Gather’s reputation for local, sustainable fresh ingredients, I was rather excited. 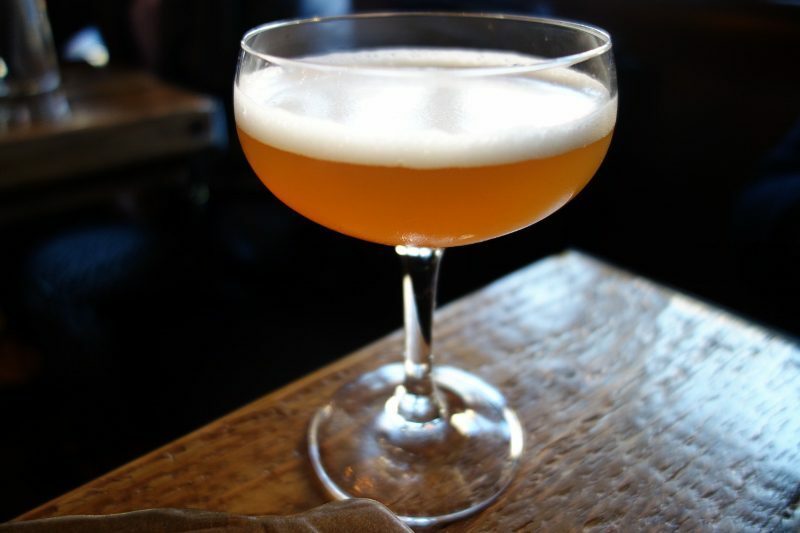 Located on Polk Ave in the hip Russian Hill, Verbena is a quintessential Northern California restaurant from the menu to the sustainable, natural decor. 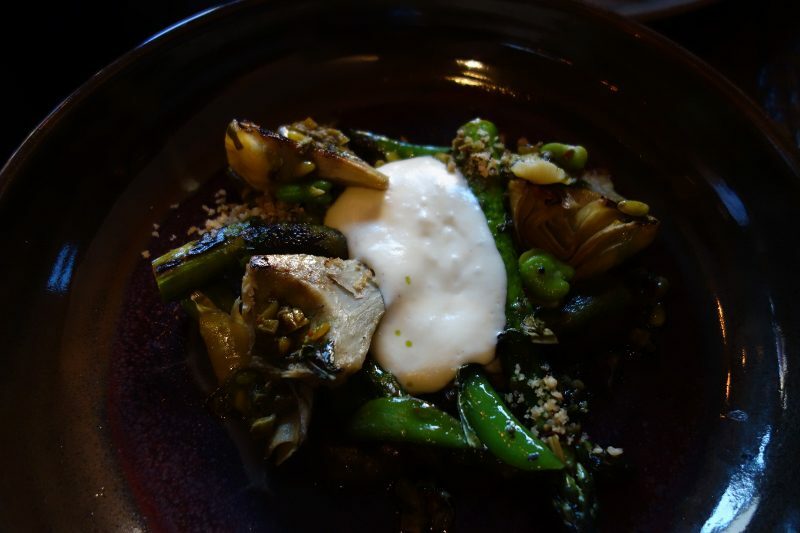 The menu is produce-focused but has a fair amount of omnivore options. And all of the products used come from small artisan farmers and ranchers in the area with which they have direct relationship. 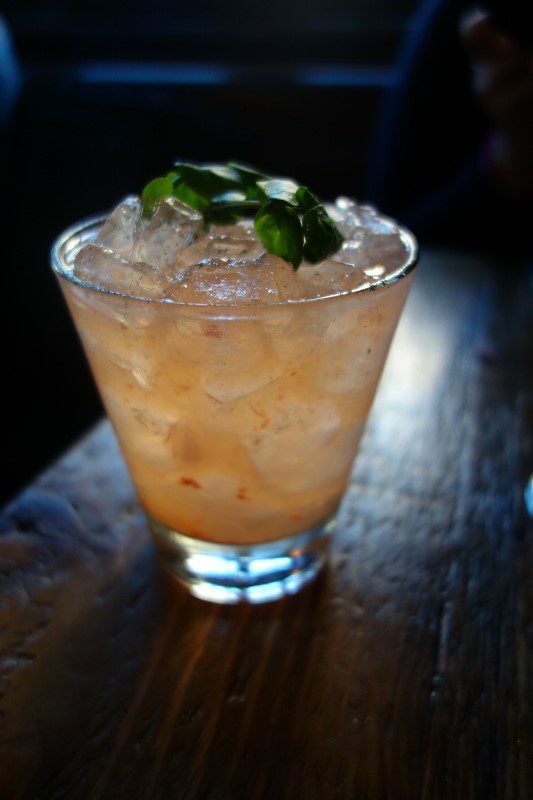 We started with cocktails which feature seasonal ingredients and spirits from small producers. 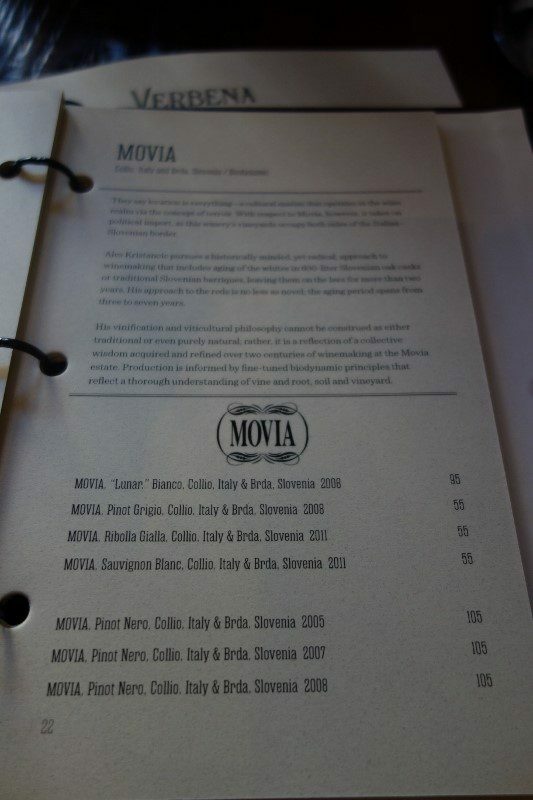 What’s also impressive is the wine list which is producer driven, offering 3 or 4 wines per producer. The wine list is very easy to manage. The wine book starts with lists of the wines by Producer and by Region, as well as by White and Red, so you can browse the wine list several different ways. Each producer also has their own page with a description of the winery and a list of the wines offered. Our helpful, friendly and knowledgeable server suggested we start with the Sprouted seed bread with chevre and beet sauerkraut ($7) and it was a perfect suggestion. 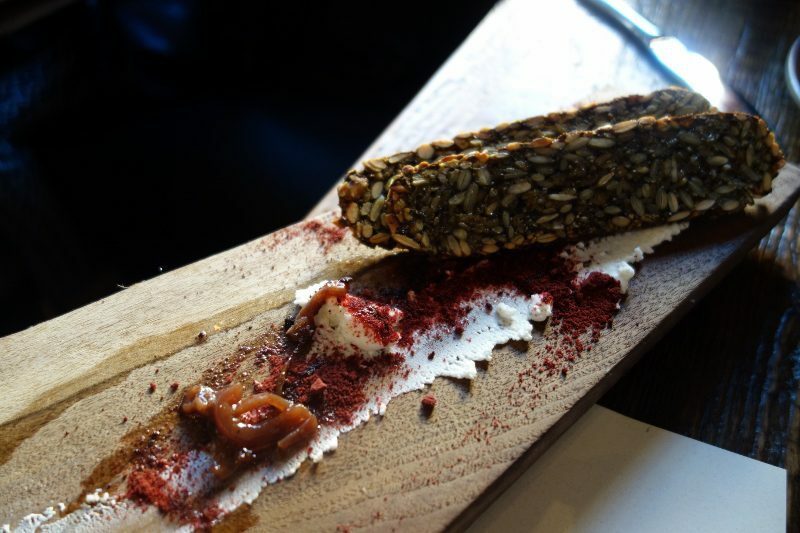 I just loved the nutty, smooth housemade chevre on top of the warm sprouted seed bread that was not dry as I had expected. We then had the perfectly seasonal Cardoons and Rhubarb with caramelized honey dressing, Douglas Fir yogurt, nepitella ($11). I love the tartness of the rhubarb mixed with the yogurt. 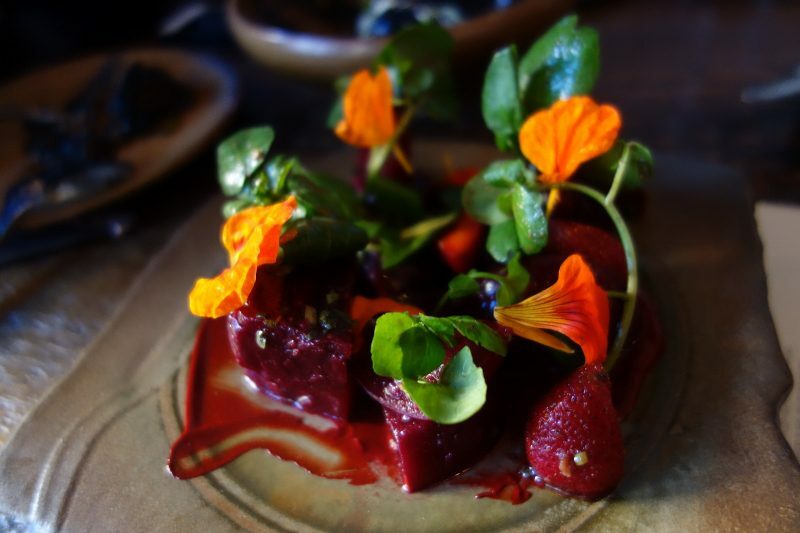 The deep red color of the Beets and Strawberries with black walnut beet miso, ginger, cress, and oxalis ($14) was intense and the colorful flowers just popped. The Meatballs braised in black mole with hominy cooked in whey and kale ($16) was a lighter dish than anticipated and the mole had a nice little kick of heat to it. 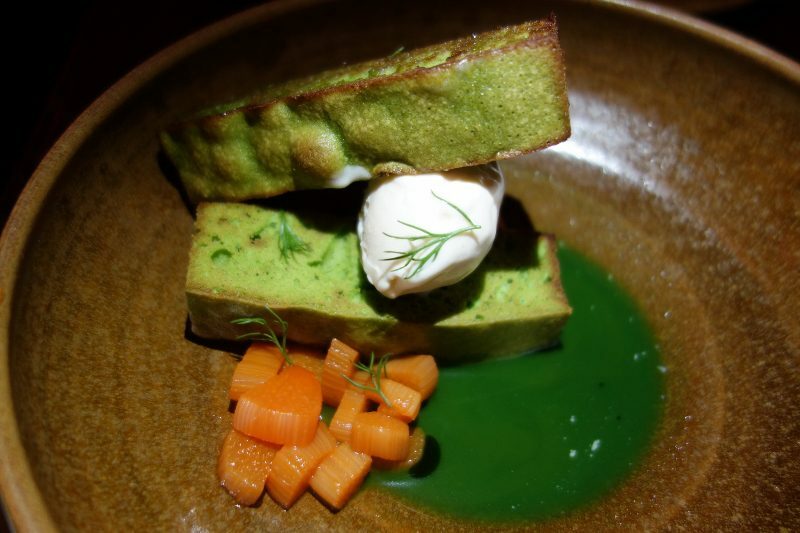 While the Pea tendril cake, chamomile ice cream, rhubarb ($9) doesn’t sound like a typical dessert, after a few bites, we couldn’t stop. The vegetal notes of the peas was definitely present but the tart rhubarb and light chamomile ice cream balanced the dish. 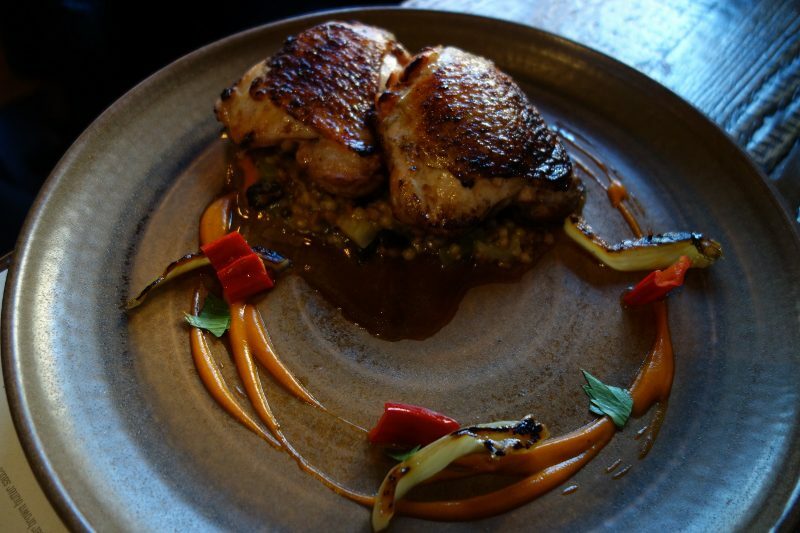 Nothing beats a meal that screams “fresh” and “seasonal” but is also creative in the selection and use of ingredient combinations. This entry was posted in Cocktails, Food, Wine and tagged artisan farmers, black mole, Cardoons, chamomile ice cream, Chef Sean Baker, Cocktails, DrinkWire, Liquor.com, Pea tendril, Rhubarb, Rocket and Rose, Russian Hill, San Francisco, seasonal ingredients, Sprouted seed bread, The Gilded Lily, Verbena Restaurant, Wine by Allison Levine.